April is Autism awareness month and is filled with activities to promote autism awareness, inclusion and self-determination for all. The goal of autism awareness month is to assure that each person with Autism Spectrum Disorder is provided the opportunity to achieve the highest possible quality of life. How can you participate in autism awareness? Below are a few suggestions that you can do in your own neighborhood to raise autism awareness. “flapping” to subtle emotional symptoms. tournaments to help raise awareness and funds for autism. We all want a good night’s sleep and if our children don’t sleep well that means parents don’t sleep well. Researchers estimate that 26 percent to 32 percent of typically-developing children experiences sleep problems. An even larger portion of children (estimates range from 53 to 78 percent) with autism spectrum disorder (ASD) experience the same issues . One theory contributes the over-arousal of the sympathetic nervous system and under arousal of the parasympathetic nervous system for the sleep and concentration issues that are seen in children with autism. 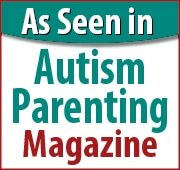 It is also common for children with autism to have higher levels of anxiety. Higher levels of anxiety often occur as the child matures and sleep disturbances improve but daytime anxiety increases. In one study by Kushki, children with autism demonstrated atypical responses to stressful tasks and had higher levels of anxiety compared to the control group. Sleep is essential and is necessary for restorative processes to take place in the body. When we don’t sleep well, we don’t feel well and have trouble concentrating. Establishing a healthy sleep routine as well as the use of Focus Formulation products to balance the two parts of the autonomic nervous system may be the key to a restful night’s sleep. Routine is also important in developing any sleep routine but this is of particular importance for a child with autism. bedtime. This may consist of bath time and story time. The use of Cognition Focus during the day to help over stimulation of the sympathetic nervous system and the use of Calm Focus during the night to support healthy sleep may be the first step to a restful night. Visit us at FocusFormulations.com to learn more and share your story, we would love to hear from you. Kushki A, Drumm E, Pla Mobarak M, Tanel N, Dupuis A, Chau T, Anagnostou E. Investigating the autonomic nervous system response to anxiety in children with autism spectrum disorders. PLoS One. 2013;8(4):e59730. doi: 10.1371/journal.pone.0059730. Epub 2013 Apr 5.